Matt L. Stephens and Kelly Lyell of the Fort Collins Coloradoan won first place in the Associated Press Sports Editors 2017 contest in the Breaking News Story category for the Under 30,000 circulation division. Stephens and Lyell won for their story on how Larry Eustachy allegedly intimidated and emotionally abused players while he was at Colorado State. The winner in each category will receive a plaque at the 2018 APSE Summer Conference in Nashville. The banquet and awards dinner will conclude the APSE Summer Conference, which takes place June 17-20 at at the Marriott Hotel Nashville / Vanderbilt University. Sarah Rafique of the Lubbock Avalanche-Journal finished second. Brett Vito of the Denton Record-Chronicle was third. 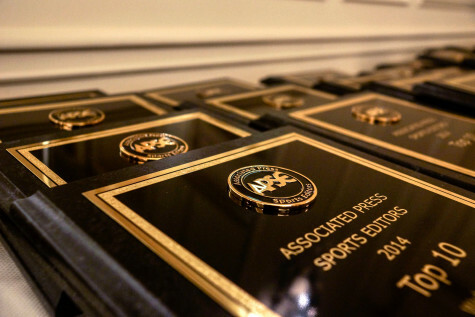 Sports editors in the Under 30,000 category submitted 65 Breaking News Story entries. The contest is open to APSE members. Click here to join.